← Parma #6: Waterloo Bay Hotel … Holy Mosquitos Batman! We have a new leader! 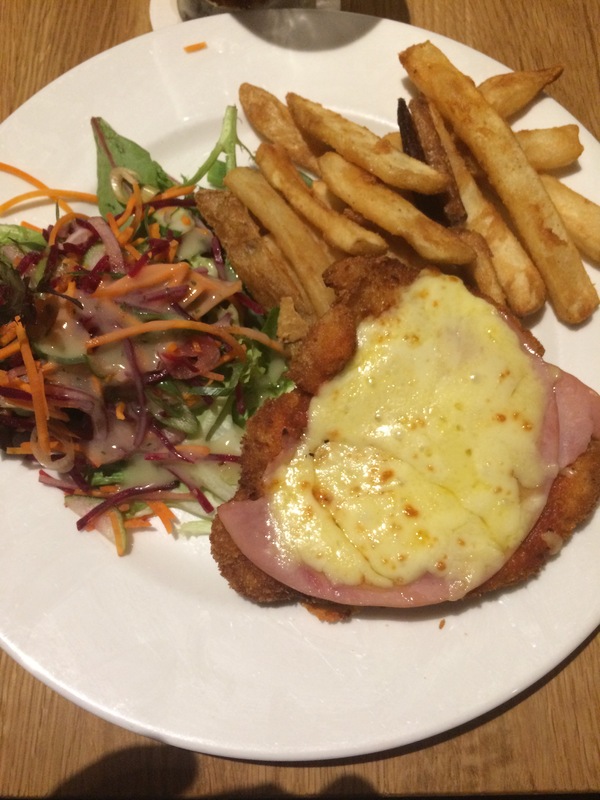 Parma Number 7: Bracken Ridge Tavern … Did I just see a dodo bird? The Verdict: Everyone has a story about a time when something was given to them and they immediately knew just by looking at it that that thing was not going to be good. So it was with last night’s Parma at the Bracken Ridge Tavern. The second the plate hit the table I just knew this was not going to be a good one largely because of the obvious lack of tomato sauce on the chicken fillet. Chicken: I really quiet enjoyed the chicken fillet with this Parma. It was excellently cooked and well crumbed. In fact as I was eating it I commented that, on its own, this was probably the best piece of chicken I have had so far during this quest. Tomato Sauce: As I commented in the preamble, my first impression of the tomato sauce when my meal arrived was “where is it?”. After closer examination go discovered that there was actually tomato sauce scraped across the chicken fillet but only the smallest amount possible. From the little I could taste it was a nice sauce but there just needed to be more! Was there a shortage of Napoli sauce in Bracken Ridge last night or something? Ham: This Parma came with a good amount of ham that covered most of the chicken fillet and was not folded nor cubed. Definitely one of the better hams I have so far this year. Cheese: Nearly the best part of this dish, the cheese on the BRT Parma was excellently melted, evenly spread and tasted great! Side Dishes: After the tomato sauce travesty this meal could have placed higher on the Parma Ladder if the side dishes had have been good. Simply put: they were not. The salad was akin to (indeed may very well have actually been) a pre-packed salad from Woolworths and it tasted like it. The chips were as dry and over cooked as I think I have ever eaten (and I have eaten a lot of chips). Testament to just how bad these side dishes were is this fact: I finished neither. The other stuff: The Bracken Ridge Tavern is on the outer Northern reaches of the Brisbane City limits. It is quite a large and well attended establishment and, judging by the menu, offers a broad range of food. I have to say I thought the chicken parmigiana was a little over priced at $24.90 and would think that even if it had have been good! The Final Word: Another Parma tried and another disappointment … There is no other way to judge this Parma! The lack of tomato sauce was the killer blow but the terrible side dishes buried the carcass! The fact that this was the first meal I did not eat all of since circa 1998, making it the rarest of rare occurrences, reflects this judgment! 1 Response to Parma Number 7: Bracken Ridge Tavern … Did I just see a dodo bird? Just shows appearances can be deceptive. Thought this one looked good!